At Jhpiego-supported health care facilities, more than 600,000 deliveries were attended by a skilled birth attendant and more than 1.2 million women started using a modern family planning (FP) method for the first time. The Health Service Delivery project helped increase the number of facilities offering an expanded FP method mix, including long-acting methods (IUDs and contraceptive implant), from 153 in 2014 to 241 in 2017. During the first quarter of 2019, 22% of new FP users opted of a long-acting, reversible contraceptive method—a 142% increase from the previous quarter. In 2018, over 106,000 people received a contraceptive method through community sources, which contributed to 19% of all new users and 28% of continuing users during the year. In response to the Ebola virus disease outbreak, Jhpiego strengthened infection prevention and control practices at 336 health facilities in areas hardest hit by the epidemic, thereby preventing further spread of this deadly disease. Under this five-year, USAID-funded project, Jhpiego and partners Engender Health and Save the Children are working closely with the Government of Guinea to ensure consistent and high-quality provision of an essential, integrated package of family planning and maternal and child health care at health facilities and in surrounding communities in seven target regions covering 85% of the population. The project objectives are: 1) delivery of quality health services improved through increased availability of services, referral linkages and quality of and access to services; 2) healthy behaviors and demand for high-quality health services improved through improved coordination, quality, targeting and scale of social and behavior change communication and health promotion activities; and 3) health systems strengthened through strengthened policy, planning, governance and human resources, and improved availability of commodities, drugs and data for decision-making. As a subcontractor to RTI International under this project, funded by the U.S. President’s Malaria Initiative, Jhpiego is providing technical leadership on malaria in pregnancy and quality improvement in support of the National Malaria Control Program. This support involves maintaining up-to-date national policies and protocols, as well as training health care workers and community health workers on these policies and protocols. Technical content includes: 1) the delivery of intermittent preventive treatment for malaria among pregnant women; and 2) case management, including confirmation of suspected malaria cases using rapid diagnostic tests to ensure correct treatment, avoid overtreatment/overconsumption of available stock and prevent the development of resistance. In addition to providing national-level technical assistance, Jhpiego is also responsible for coordinating capacity development and supportive supervision to health care facilities in Conakry and three of the 14 prefectures targeted by this project. This project is a follow-on to the StopPalu award, which was successfully implemented by the same partners from 2013 to 2017. With funds from the Global Fund to Fight AIDS, Tuberculosis and Malaria, the Guinean Ministry of Health is supporting Jhpiego to strengthen and decentralize the national response to sexually transmitted infections, including HIV, with the goal of universal access to services. The goal of this three-year program is to reduce new HIV infections by 37% and reduce the mortality and morbidity among people living with HIV by at least 51% from 2018 to 2022. Jhpiego is leading the prevention of mother-to-child transmission of HIV (PMTCT) component of the program, focusing initially on consolidating gains and improving performance in PMTCT service provision followed by extension to additional sites. 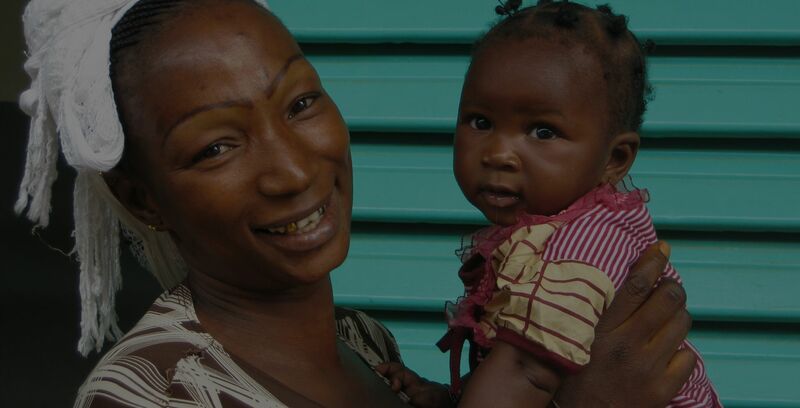 Funded by the Bill & Melinda Gates Foundation, this program promotes access to family planning choices in West African countries by supporting the introduction and scale-up of subcutaneous depot-medroxyprogesterone acetate (DMPA-SC). DMPA-SC is an innovative injectable contraceptive—also known as Sayana® Press—that can dramatically expand access and choice for women. Jhpiego is working closely with the Access Collaborative to strengthen health systems to accelerate introduction and scale-up of DMPA-SC in eight West African countries, including Guinea.